In recent weeks, white supremacists have marched in the streets with tiki torches and rebel flags, wearing red Make America Great Again hats, protecting Confederate statues and monuments from removal. The President of the United States didn’t outright condemn these hate groups, but rather played footsy with Neo-Nazis, the KKK and all iterations of white supremacist terrorism. Many are hollering that this America isn’t their America. But for many of us, this racism has always been part of the great American way. There is no America without it; this country was literally built upon it. And now America’s hood has come off for a few. 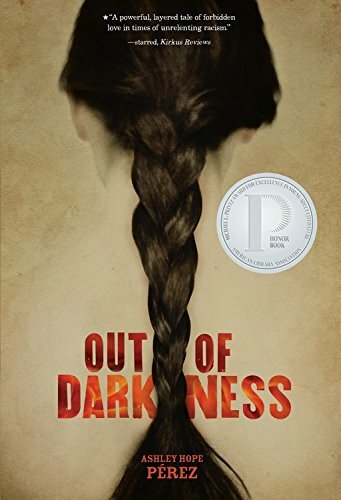 But Young Adult books are holding a mirror up to the racism in American society, exposing its ugly underbelly, and telling hard truths to arm the next generation with the tools they need to face it. 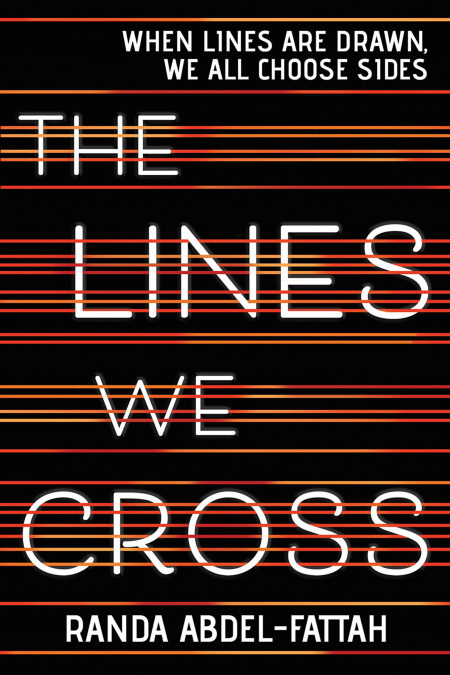 Add these 10 must-read books to your list, and make sure every teen in your life reads them. Living legend Congressman John Lewis (GA-5) shares his remarkable, first-hand account of his historic march and the strides he made in the Civil Rights movement. His personal story takes us on a journey from his childhood on an Alabama sharecropper’s farm and in segregated schools to the 1963 March on Washington, all the way to Congress, where he works to insure the civil rights of all Americans. 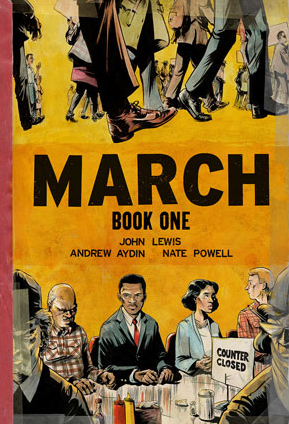 This series of graphic novels guarantees that America will never forget those who paved the way forward. This is a Romeo and Juliet tale featuring two kids on opposite sides of the immigration debate line. Michael goes to anti-immigrant rallies with his parents, and it all makes sense to him. Mina is a Muslim refugee from Afghanistan and has just started attending Michael’s school. Michael’s family politics start to get sticky, and Mina faces hurdles as she tries to make friends at her new school. Both must decide where they stand and if they can love each other across this cultural divide. This book makes the political personal through the lens of an engaging love story, in which two teens are caught in a storm of opinions about religion, refugees, immigration, Islamophobia and who has the right to be called an Australian. Sixteen years old, budding filmmaker Steve Harmon writes a movie script in his journal—one in which his own life is at stake. He’s on trial for the fatal shooting of a convenience-store owner and chronicling the court proceedings and his experience in jail as he awaits his fate. The prosecutor calls him a monster for his alleged role in the shooting. But Myers unearths the painful inequality at the heart of our justice system, where not everyone is entitled to a fair trial or treated equally in a court of justice. This should be required reading for all students in America to understand that the color of one’s skin often dictates one’s experience in the American criminal justice system. Black 16-year-old Tariq Johnson is shot and killed by Jack Franklin, a white man. Sound familiar? As Tariq’s community tries to piece their lives back together again, readers will discover that no two accounts of the incident tell the whole truth. Everyone struggles to make sense of how everything went down. But all readers should question the things they think are true about how the media portrays boys who wear hoodies and look like Tariq. Justyce McAllister is near perfect—smartest in his class, Ivy League college bound, and an all-around good guy—but being respectable and accomplished often doesn’t matter to the police. To them, he’s just another black boy. After being arrested for a crime he didn’t commit, he seeks to understand what happened to him by turning to the teachings of Dr. Martin Luther King Jr. for answers. He writes to his hero in his journal. 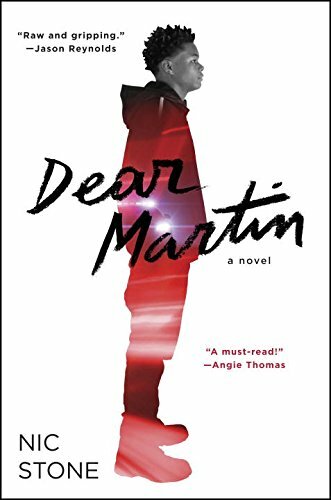 But when he goes on a joyride with his best friend Manny, and an off-duty cop targets them, he’s under attack again and must think about what Dr. Martin Luther King Jr. might have done. This book dismantles the idea that if you’re near-perfect and do everything right, racism won’t affect you. 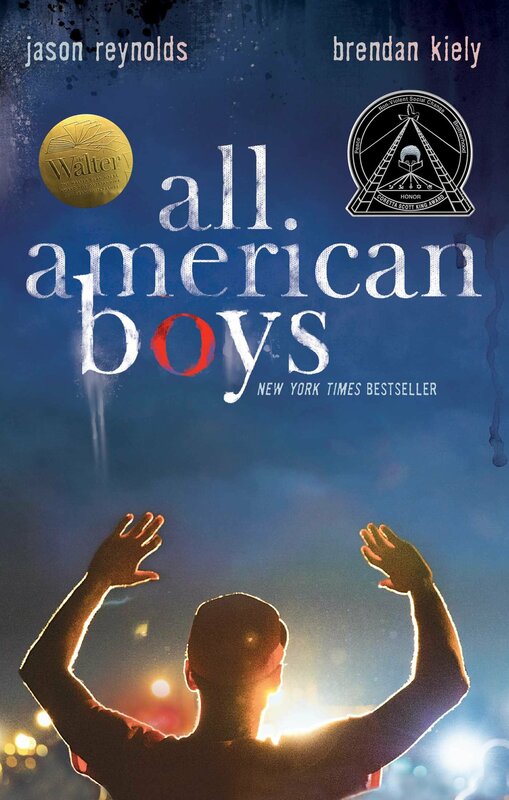 Two teens—one black and one white—face the ugly truth that they are not treated equally by the police. When Rashad goes to buy chips at a bodega, a cop mistakes him for a shoplifter and almost beats him to death. The witness, Quinn, the cop’s surrogate son, wrestles with the difficult and complicated truth that sometimes our heroes can be flawed. As the school takes sides, Rashad and Quinn must confront their new realities and face consequences that they never have before. 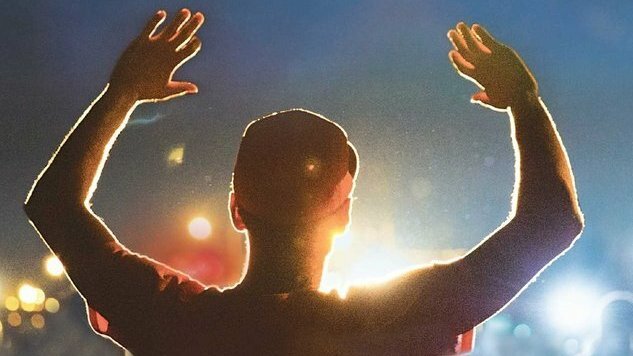 This award-winning book kicks open on an ugly American truism—the skin you’re born in dictates how you’re treated by the police. Like many marginalized American teens, 16-year-old Starr Carter straddles two worlds: the neighborhood where she lives and the fancy school she attends. 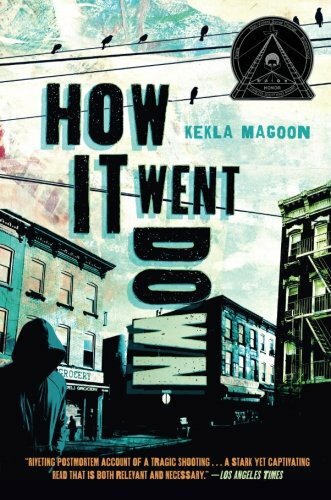 When her best friend Khalil is fatally shot by a police officer, her life descends into chaos as his catastrophic death becomes a national headline. Starr must wrestle with what went down that night, and what she might say may set the world on fire. 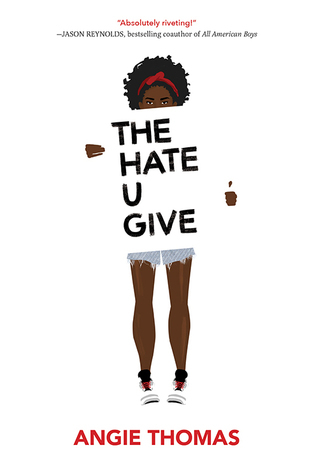 Award-winning and slated to become a film next year starring Amandla Sternberg, Common, Issa Rae and many more, The Hate U Give shines a painful light on why black men and boys are targeted by the police and how their communities are shattered as a result. 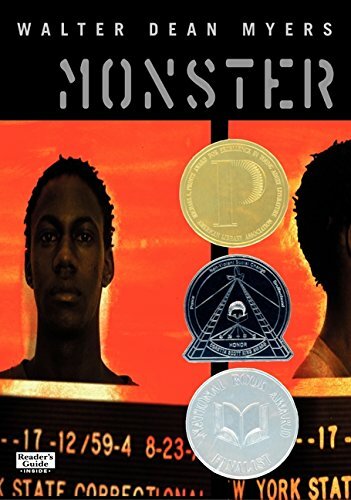 Under the backdrop of the 1937 New London school explosion, one of the worst disasters in American history, this book pushes two kids together across the most powerful line at the time: the color line. In East Texas, you don’t mix with people who aren’t your kind. Naomi Vargas and Wash Fuller understand this deeply. These kinds of things are reinforced and there are painful consequences for failing to understand—even death. But sometimes love pushes you to cross the boundaries of everything you’ve ever known despite the risk. This book unpacks the complicated history of the school explosion and challenges readers to dig into how the forces of love, community and segregation shape people. Alfonso Jones just bought his first suit. But an off-duty police officer mistakes the clothes hanger for a gun, and shoots Alfonso. 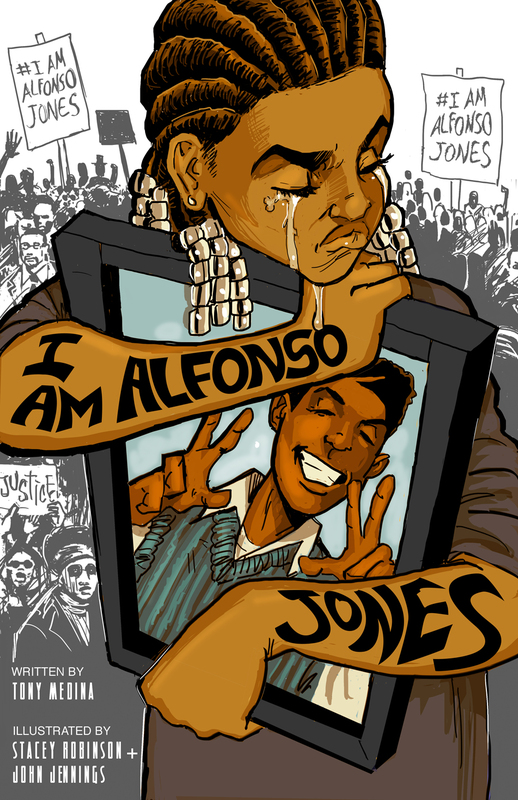 When Alfonso wakes up, he’s in the afterlife on a train with well-known victims of police violence, and he must now face his new reality while his family and friends mourn for him at home. This graphic novel (scheduled for an October 15th release date) cracks open the scars left behind when people are lost from communities at the hands of police violence. Marvin just wanted to tag along to a party with his twin brother, Tyler. But when a shooting happens and the police show up, chaos unfolds. Tyler goes missing, and Marvin is on a mission to find him. But when Tyler is found dead and a video surfaces online showing Tyler shot by a police officer, the community erupts. Marvin must figure out what justice looks like for the dead. 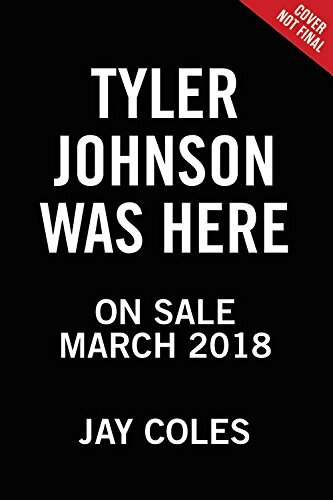 This can’t-miss book (due out in March 2018) lays open the wound of having to watch brutalized black bodies and the death of loved ones being thrust onto the social media stage, and how one makes sense of fairness in the world after such a loss. Dhonielle Clayton is the co-author of the Tiny Pretty Things series and the forthcoming The Belles. A former teacher and middle school librarian, Dhonielle is co-founder of CAKE Literary—a creative development company whipping up decidedly diverse books for a wide array of readers—and COO of the non-profit We Need Diverse Books. You can find her online at www.dhonielleclayton.com or follow her on Twitter.